What happens to technology professionals as artificially intelligent machines take over increasingly complex IT tasks? Seven out of 10 corporate executives say they are making significantly more investments in artificial intelligence (AI) than just two years ago, according to Accenture’s recent Technology Vision survey. And more than half (55 percent) say they plan to use machine learning and embedded AI solutions extensively. But rapid advancement of AI and robotics in the workplace has many professionals on edge—no more so than in IT. 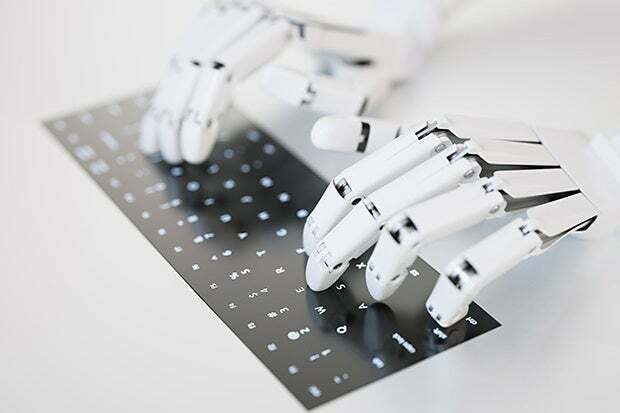 As machines become more sophisticated and able to learn and make decisions, they are becoming an increasingly important aspect of the IT ecosystem. And that creates fear, uncertainty and doubt in the human workforce. CIO.com talked to Dube about the immediate impact of increased automation on IT professionals, mitigating disruption using top-down leadership, the obligations of companies and governments have to retrain their labor forces for the future, and the changes we’ll all have to make as our work we do becomes fodder for the robots. CIO.com: Are IT leaders considering how to manage the impact the individuals on their teams as they incorporate more AI and robotics? Chetan Dube, CEO, IPsoft: Because the hybrid AI workforce is already the direction that most industries are headed, IT leaders are definitely considering how to manage these changes and concerns directly related to their workforce. However, with many companies still operating on legacy platforms and outdated technologies, not every IT professional knows the best course of action. Leadership can pave the way, but success will greatly depend on each individual’s willingness to adapt. Those who are willing to embrace change and work at updating their skillset to match the requirements of new roles will reap the rewards. Within the IT function particularly, IT managers need to think about how they adapt to managing automated processes rather than organizing their functions around the more limited capacity of manual workers. This is massive shift in mindset, but it will lead to greater opportunity for more highly skilled and varied job roles. CIO.com: When people ask where they fit into a machine-driven future, how do you reply? We need to remember that people’s skills will be evolving and not static. Each new technological development creates roles that were previously unheard of a decade before. For example, the Twitter and Facebook revolution has led to the creation of tens of thousands of social media experts and even entire agencies dedicated to a new business need. This adaptation can help shift IT leaders from maintaining day-do-day operations to dedicating themselves to strategic change. An engineer, for example, develops new algorithms or systemic improvements that have the potential to completely transform a business and impact its productivity. CIO.com: What are the most immediate challenges when introducing increased AI and automation? Dube: The immediate challenge is properly aiding the shift in perception of an AI-driven workforce and reskilling your workforce to adapt to changes in roles and responsibilities. In order to do so, workers must be given the tools they need to succeed, and this starts with education. Educating the workforce about how automation can result in more enjoyable, strategic, and creative job roles, and how it will bring more productivity and increased revenues, must be a priority. This starts with CIOs and business leaders who can help mitigate the risk of transition. In order for the transition to be successful, it must be completely supported from the top-down within the organization. While any kind of restructuring will inevitably be met with a degree of resistance, in the medium to longer term the new model has the potential to deliver far greater benefits to a company’s entire employee base. CIO.com: Might there be some areas where automation is possible but the disruption would just be too great? Dube: Business leaders must ask themselves a vital question: “What will happen if this change is not embraced?” [There may be] a domino effect. If a business fails to adapt, it is likely to die. If the business dies, then there will be no jobs to protect. Of course, that’s a worst-case scenario; however, it is plausible. Failing to embrace change and undertake automation can affect revenues and hinder competitiveness, which can both have a huge impact on an organization. CIO.com: What sorts of new role do you see emerging as a result of increasingly advanced automation capabilities? Dube: The introduction of AI will see the creation of new executives such as the Chief Data Intelligence Officer. These highly skilled workers will be able to filter and interpret the vast amounts of data stemming from automated procedures and transform it into valuable intelligence. The ability to see the bigger picture and spot trends and opportunities will become a key skill within IT, as it maximizes the varying abilities of both people and machines. Data scientist roles didn’t exist (under that name, at least) 10 years ago. Demand for commercially savvy data analysts is already vastly outstripping supply, with companies including Microsoft and Google on massive hiring spree.